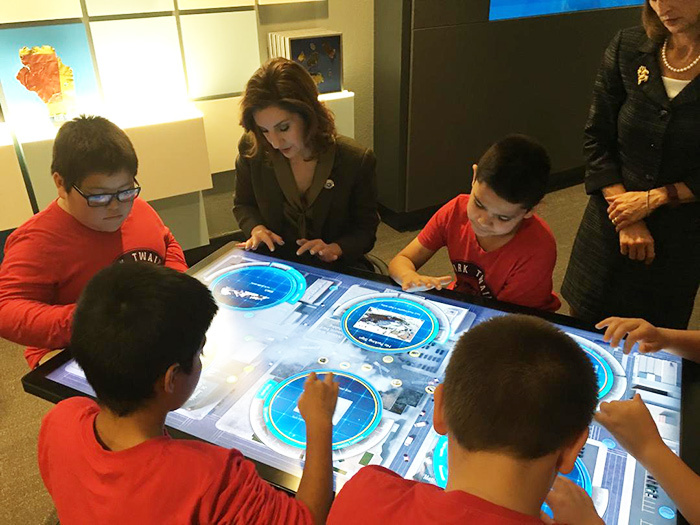 State Superintendent of Public Instruction Joy Hofmeister and students from Mark Twain Elementary play in the new Uncover-Discover STEM Lab at the Oklahoma City National Memorial and Museum. Learn more about the lab. State leaders announced last month that Oklahoma is in the midst of a revenue failure requiring a 3-percent budget cut for education. This news means we are looking at a very difficult 2016 – specifically, a $46.7 million reduction in funding for pre K-12 public education through the end of the school year. These fiscal challenges will stretch into 2017. Please know that I am standing with you, and we will do everything we can to protect classroom instruction as much as possible. I am looking forward to the next legislative session, which begins next month, to further pursue solutions to ensure that, despite funding challenges, our teachers and children receive what they need to excel. 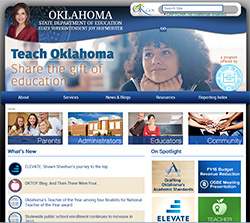 Thank you for the countless hours you spend in and out of the classroom to help shape Oklahoma’s future. Your dedication to opening doors of opportunity for our children continues to inspire me every day. Find more information on the state revenue failure's impact on education. 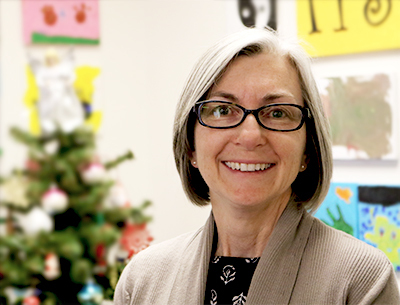 More than 15 percent of Oklahoma’s public school students are on IEPs, and differentiating instruction can seem daunting to some classroom teachers. However, by adapting your lesson plans to meet the needs of your special education students, you can improve the performance of the entire class. FORM SMALL GROUPS: Transform your general education students into natural teachers. When someone in the group does not understand a concept, other students are often happy to help explain it to their peers. Not only is the special education child learning from a different perspective, but the general education student is grounding the concept further by explaining it. VARY YOUR QUESTIONS: Rather than reading the text and answering questions at the end of the chapter, ask your students open-ended questions, such as, “Tell me what you know about the subject.” Their answers may surprise you and give you insightful formative feedback. CREATE GROUP PROJECTS: Encourage your students to demonstrate what they have learned by translating it into another form. Let them draw posters, paint murals, act it out, construct a poem or write a rap about it. Not only will your students have to think about the concept on more familiar terms, but watching presentations from their peers will capture their attention. Congratulations to Shawn Sheehan! 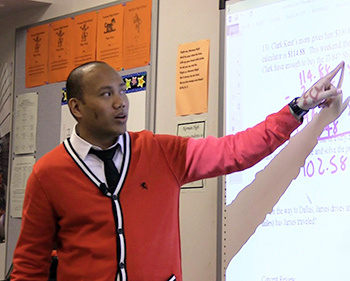 Oklahoma’s Teacher of the Year is now one of four finalists for National Teacher of the Year! Shawn is a math special education teacher from Norman High School whose passion is showing children that they can succeed. The mission of his nationwide campaign, Teach Like Me, is to improve teacher recruitment and retention by redefining perceptions of teaching. Watch a video of Shawn’s story. In his blog, he writes, “We aren’t turning a blind eye to all the problems, but we have to be intentional about not letting the negativity seep into our classrooms. Our kids deserve the best version of us.” Read Shawn's Teacher of the Year blog. Put some zest into your spelling words! Teacher Robin Green uses basketballs in first-grade spelling lessons at Muldrow Elementary, letting kids dribble as they spell aloud. See the video. HUMAN ALPHABET: Students form letters using their bodies to create spelling words. SPELLBALL: A student says a letter, then rolls the ball to another student until the word is spelled. TAP IT, MAP IT AND GRAPH IT: Students match sounds in spelling words to the letters that go with those sounds. PICTURE-PERFECT SPELLING: Students code words with red- and green-colored pencils, using green pencils to code the parts of the word they already know or can be figured out with sound tapping and red pencils for new parts or the parts that might not play fair. COMPUTER GAMES: Visit www.spellingcity.com for a dozen free spelling games featuring your imported word lists. In December, President Obama signed the Every Student Succeeds Act (ESSA), which addresses many of the shortcomings of No Child Left Behind. How will the new law affect you? Here are some highlights of the new law. Full implementation will take effect in the 2017-18 school year. Children in grades 3-8 will still be tested in reading and math, as will students once during high school. Test results will be grouped by school and by subgroups including ELL, special education and minorities. States will have more discretion in creating accountability systems. Tests will still be part of the equation, but states may add other factors to measure student success, such as access to advanced coursework, student engagement or post-secondary readiness. States will create their own goals for students. There is no longer a deadline for proficiency for all students, but there must be an expectation that groups that are the furthest behind make gains. States will be responsible for creating their own evidence-based intervention systems for the bottom 5 percent of schools where less than two-thirds of students graduate. They must flag schools where subgroups are chronically struggling. Science will be assessed once in elementary, middle school and high school. The federal government will have no role in teacher evaluation. 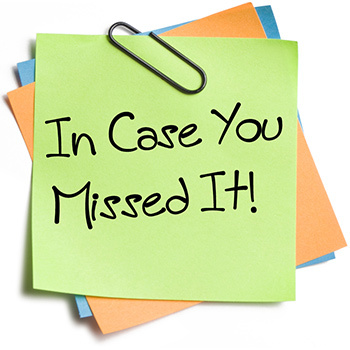 The U.S. Department of Education is still working with states on implementing the law. For more information or to sign up for ESSA news, visit www.ed.gov/ESSA. 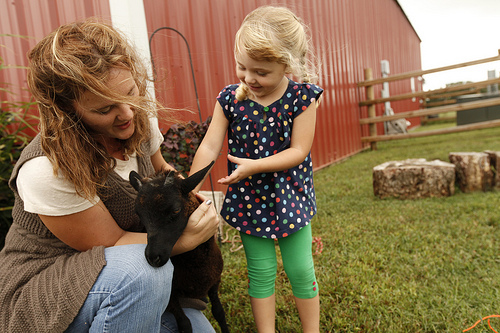 Above: A girl pats animals in Claremore. 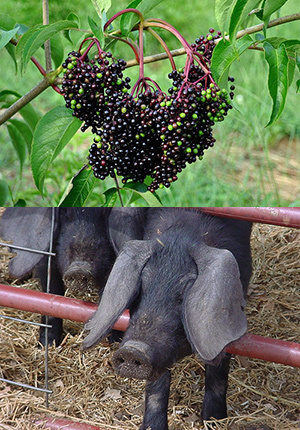 Below: Elderberries grow in abundance in Porum; a harvester sorts pecans in Shawnee; pigs are part of the livestock in Woodward, and peacocks drift with the lavender in Apache. Show your students a side of Oklahoma they’ve never seen before! Check out this list of more than 75 destinations across the state promising teachable moments in history, agriculture and more. Organized by a clickable map, it’s a perfect tool to plan your spring field trip. See the map and list of educational trip ideas. NORTHEAST: Shepherd’s Cross, Claremore. The farm’s Woolly Weekend is a sheep-to-shawl event in April. Learn more about Shepard's Cross. SOUTHEAST: 360 Farms, Porum. This orchard boasts 8,000 elderberry plants and produces its own teas, soaps and oils. To learn more, click here. CENTRAL: Benson Park Pecans, Shawnee. See the harvesting equipment that helps produce pecans and pecan candy. Orchard and plant tours available. To learn more, click here. NORTHWEST: Anichini-Moore Ranch & Farm, Woodward. View endangered or unusual livestock, and learn about soil building, recycling, rainwater harvesting, composting, and growing plants in difficult conditions. To learn more, click here. SOUTHWEST: Lavender Valley Acres, Apache. Be surrounded by the beautiful scents and colors of lavender, and enjoy several breeds of exotic peacocks. Learn more about Lavender Valley Acres. Your kids could win $100,000! Students age 7-18 could win up to $100,000 for their ideas on how to prevent injuries and fatalities from home fires — America’s #1 disaster threat. All creative entries are welcome, including posters, videos, inventions, messages, community events, websites or mobile apps. Entries will be judged on effectiveness, feasibility, originality, presentation and collaboration. Deadline is May 1. The challenge is presented in partnership with the American Red Cross. For more information, click here. $10,000 GIVEAWAY: Starting Jan. 29, cast a vote daily for your favorite school to win a check for $10,000 in the Cash for Schools Giveaway. In this separate contest, sponsored by KWTV Channel 9 in Oklahoma City and Metro Ford of OKC, one winning school will be announced each week. Watch for more details here. Attention all Pre-K and kindergarten teachers! Please help us evaluate Kindergarten readiness and what needs be done to support teachers in their classrooms. Share your thoughts, experiences and suggestions. Your responses are confidential. 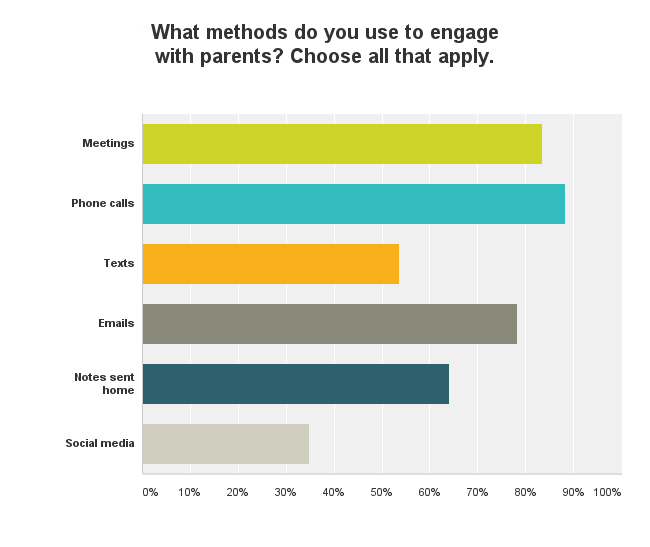 To take the survey, click here. The Oklahoma Summer Arts Institute at Quartz Mountain is currently accepting online applications for the state’s premier arts academy for high school students. In its 40th year, the program will be held June 11 –26 and is taught by nationally renowned artists. It offers instruction in acting, ballet, chorus, creative writing, drawing and painting, film and video, orchestra, modern dance, and photography. Every accepted student receives a full scholarship to the program. In addition to the application, students must attend either an audition or interview. They are scheduled to begin this month. Applicants must be at least 15 years old by Sept. 1. Graduating seniors are eligible. Find more information and apply on the website. LITERACY VICTORY: A national study ranked Oklahoma second in the country for its system to ensure students are reading on grade level by the third grade, and pointed out that Oklahoma has one of the nation’s most robust state pre-K programs. Read the story here. AFTER-SCHOOL ENRICHMENT: Students at Alice Robertson Junior High School in Muskogee are participating in robotics, choir and YouTube programming as part of their after-school program, made possible by a $155,000 21st Century Community Learning Center grant. Read the story here. TEACHING COMMENTARY: “Ninety-nine percent of Oklahoma teachers surveyed said their jobs extend beyond academics to include making a difference in students’ lives,” wrote Jennifer Chancellor, editor of the Oklahoma Gazette, in a Dec. 30 column. She argues that misinformation about the profession is miring public debate on how to improve education. Read the story here. QUAKING SOUNDS: The state’s top band students are performing music inspired by Oklahoma earthquakes. The music was created by an Oklahoma composer specifically for the 2016 CODA All-Region High School Symphonic Honor Band. Read the story here. CREATIVE MATH: Math teacher Samuel Harris uses an old meat grinder to teach functions with inputs and outputs, and pigeon stories to illustrate the Pythagorean theorem. But his passion is the well-being of his students at Street School in Tulsa. Read the story here. Help us make the OSDE public website better by participating in this anonymous survey!